With hundreds of millions of Android devices in use today, there’s little wonder why the Android development job market continues to show strong demand. Job search website Monster.com, for example, consistently shows more than 1,000 Android developer job postings, with California continuing to be a top destination. Android developers are also in high demand in New York City and Boston, among other cities. And job search website Indeed.com reports $163,000 as the average salary for Android developers. It’s clear that motivated developers will find plenty of opportunities to work on Android apps at startups, agencies, and other organizations. But if you’re looking to make good on this ongoing demand for Android development talent, where should you begin? How do new Android developers demonstrate their skills and get hired? Professionals working with well-established technologies, such as those from Oracle, Microsoft, and Cisco, have well-defined certification programs to prove their skills to potential employers. Google, however, has not yet defined a certification program for qualifying Android skills. That means it’s entirely up to you to establish your Android development credentials. Here’s a look at several Android development career paths that are currently emerging. The opportunity to learn Android skills in a community of committed students and mentors may be an ideal environment for many. That’s what Codepath offers to individuals and companies, through its eight-week course Android for Engineers (a course on Android for designers is under development). Codepath offers this as both in-house training for companies looking to ramp up Android skills among their current ranks and as public training programs -- the public programs are currently free of charge and include in-person class time in San Francisco. “The public program is highly competitive: We accept 5 to 10 percent of applicants,” explains Michael Ellison, chief operating officer at Codepath. The Codepath application recommends candidates possess a computer science degree and three years of professional development experience. “Our application process includes a coding challenge with mandatory and optional components. Several candidates, who lacked traditional credentials, have been admitted on the strength of their performance in the challenge and their determination to succeed,” Ellison adds. Major companies and well-known technology companies have worked with Codepath to provide in-house training. Uber, Dropbox, Capital One, Yahoo, Facebook, Airbnb, and Walmart have hired Codepath. “Codepath offers an excellent Android training program, and it has been very popular training program inside Groupon,” explains Michael Burton, director of mobile engineering at Groupon. But if you’re steering a small shop and looking to add some Android chops, know that Codepath is still competitive for in-house training. “Even when we provide internal training programs, it is a competitive process. Not everyone who applies is admitted to the program,” Ellison explains. Codepath intentionally maintains small class sizes in its programs so that students have effective support. “Adult learning and education best practices inform Codepath’s approach. For example, we put students into groups to work on projects. Our process also brings in experienced industry mentors and instructors who are committed to answering questions and providing support,” comments Nathan Esquenazi, Codepath’s co-founder. Codepath students are attracted to the program’s rigor, networking opportunities, and exposure to leading firms. Udacity: Android education with a job guarantee? For those who prefer a self-study approach, there are several options. Udacity offers a free 10-week course, Developing Android Apps. The Udacity option is noteworthy because Google employees contribute to the program. The Udacity Android program launched in May 2015, and its enrollment is primarily working professionals. Unlike Codepath’s defined eight-week program, Udacity’s program does not have a set schedule, and there is no in-person location requirement. Developing Android Apps is also the first course in Udacity’s Android nanodegree. The nanodegree, co-created with Google staff, includes eight projects spanning five supporting courses and costs $199 per month. The estimated completion time for the nanodegree is six months -- actual duration varies depending on your commitment -- and Udacity offers a 50 percent refund on tuition if you complete the degree in less than a year. Udacity’s programs have received positive feedback from Accenture, AT&T, and GE. Joining Udacity’s nanodegree provides additional career development benefits. The organization has a network of more than 800 professionals who provide code-level review and feedback to students. “Nanodegree and nanodegree plus students receive résumé, GitHub, and LinkedIn reviews, as well as mock interviews,” explains Stuart Fry, vice president of content at Udacity. The nanodegree plus program, launched in January 2016, includes job placement support and costs $299 per month. The nanodegree plus program offers the following guarantee: “Get hired within six months of graduating or receive a 100% tuition refund.” Given that the program has launched recently, it is not yet possible to report on this guarantee. 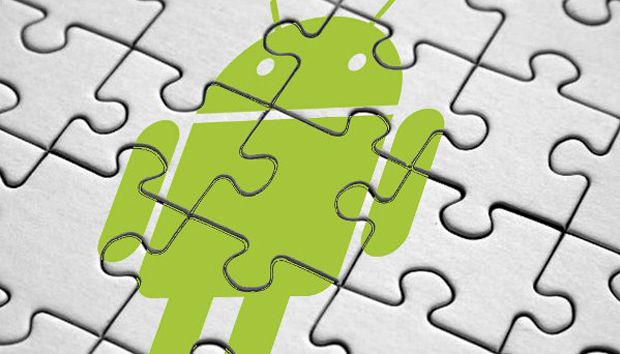 A growing number of colleges and universities offer Android developer training. Northern Alberta Institute of Technology (NAIT), located in Edmonton, for example, offers a six-course Android Mobile Developer certificate program. “NAIT’s Android course came highly recommended to me and I found it beneficial. As a result of my Android and iOS skills, I was hired as an instructional designer at the Royal Conservatory of Music,” explains Kris Hopkins. The NAIT program covers user interfaces, hardware, and Java, and it culminates in an Android project in which students design and develop an app for potential submission to the Google Play Android marketplace. Hopkins’ experience shows the value of developers bringing a variety of skills to the market, especially in organizations that do not have a primary focus on technology development. If education isn’t your route of choice, you can always dive right in and help contribute to an open source project. Developers who make public contributions to Android projects can greatly improve their pedigree with potential employers. “Contributing to open source Android projects makes a job candidate stand out to me,” says Thadd Selden, CTO at Worry Free Labs, a New York-based digital firm that has built iOS, Web, and Android applications. Through the opportunity to study and make direct contributions through open source, Android development careers are possible to those who put in the work. “Contributing to open source projects is valuable for several reasons. First, it shows an interest in the field. Second, it is a tangible piece of work that can be reviewed,” Selden says. To get started, check out the wide array of Android-related open source projects on GitHub. Or visit the Android Open Source Project website itself. This resource provides information on the core Android software stack. The project also provides documentation on how to ensure security and work with a variety of devices. Another great way to get started with Android is to go the old-fashioned route: Create your own app. At first glance, the Google Play Android marketplace is overwhelming. According to AppBrain, more than 2 million Android apps are on the market. While it’s true that your dreams of becoming a category-defining app creator may be far-fetched when starting out, there’s plenty of room for proving your mettle while improving your skills. Here, passion is key. “If you seek to build your skills by creating an app, let your interests guide you. If you’re interested in social media, consider creating a basic Twitter app. If you love games, create a game. If you have a favorite app in iOS, consider using that as inspiration to create an Android app,” explains Selden. Following your passion and bringing a project to completion helps you to stand out. Android developers have several options to distinguish themselves when seeking employment. Target audience is one way of honing your employment pitch, as building apps for business use vs. consumer use means navigating very different requirements and user expectations. “Business Android developers need the fundamentals of Android and a strong back-end knowledge of databases and other business systems,” explains Jim Wilson. Based in Florida, Wilson has expertise in managing a variety of mobile projects including hiring app developers. In addition to his technology accomplishments, Wilson has published the book "Creating Dynamic UI with Android Fragments." “When I hire Android developers, I go through several steps. At first, I start by seeking to understand the candidate’s technical knowledge and experience. Later in the process, I ask them to complete an assignment and send their code to me. This exercise is valuable for two reasons: I get to see how they think about software and see evidence of their coding skills,” Wilson explains. “Self-starters who have taken the initiative to build an Android app stand out. In contrast, it is difficult for me to assess the value of online courses. On the other hand, seeing a completed app or code helps me to understand what a developer can deliver,” Groupon’s Burton explains. Prior to managing a 60-person team of Android and iOS developers at Groupon, Burton wrote several popular Android apps for OpenTable, Digg, and TripIt, as well as the book "Android App Development for Dummies." Understanding Android apps in the business context also matters for developers. “At Groupon, we monitor business and technology metrics to understand our customers. For example, we use tools such as Crashlytics to understand the nature of crashes and develop solutions,” Burton explains. Smaller organizations take a different approach to developer talent. “For our needs, it is valuable to have developers who can wear multiple hats in terms of technology. In some of our projects, developers with Java and C# skills have made good contributions to Android apps. In those situations, those who are new to Android work with one of our senior Android developers,” explains Worry Free Labs’ Selden. Worry Free Labs currently employs about 10 developers for its iOS, Web, and Android app efforts. In addition to starting small and following your passion, Android-curious developers will find a wealth of opportunities to network, and job-hunt, and various events aimed at Android developers. These events include AndroidTO (serving Toronto), AnDevCon (scheduled for August 2016 in Boston), and Droidcon conferences hosted by Apps 4 All. Attending such an event or a local Android meetup can give you exposure to cutting-edge developments in the field and the opportunity to meet with others.